In a learning system, multiple communities represent a networked structure of learning experiences. Individuals belong to multiple communities connected though complex relationships consisting of people, resources, rituals, and ties. Learning occurs as individuals traverse this network from one community to the next. This paper explores the question of how learning occurs in compound communities from the perspective of knowledge capital, that is, the communities’ collective knowledge, skill, and perspective, as well as relationships and connections among members. Through interviews conducted with postgraduate students belonging to multiple communities, we identified issues related to conflict between communities, closed-congregation communities, privacy, and reputation. The results have implications concerning social and structural aspects of learning and instructional design in multiple communities. Ozturk, H. & Ozcinar, H. (2013). Learning in multiple communities from the perspective of knowledge capital. 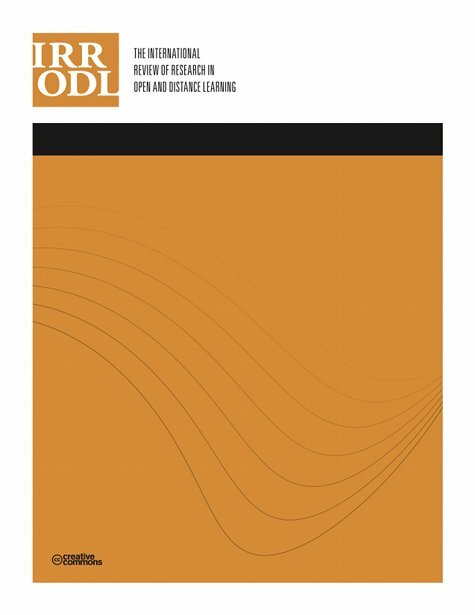 The International Review of Research in Open and Distributed Learning, 14 (1), 204-221. Athabasca University Press. Retrieved April 21, 2019 from https://www.learntechlib.org/p/49082/. Backstrom, L., & Leskovec, J. (2011). Supervised random walks: Predicting and recommending links in social networks. In Proceedings of the Forth International Conference on Web Search and Web Data Mining (WSDM), 635-644. Barabasi, A.L. (2002). Linked: The new science of networks. Cambridge: Perseus Publishing. Bolliger, D.U., & Inan, F.A. (2012). Development and validation of the online student connectedness scale. International Review of Research in Open and Distance Learning, 13(3), 41-65. Burt, R.S. (2000). The network structure of social capital. In B.M. Staw & R.L. Sutton (Eds.) Research in organizational behavior: An annual series of analytical essays (Vol. 22). Elsevier. Burt, R.S. (2005). Brokerage and closure: An introduction to social capital. New York: Oxford University Press. Coleman, J.S. (1988). Social capital in the creation of human capital. American Journal of Sociology, 94, 95-120. Colley, H., Hodkinson, P., & Malcolm, J. (2003). Informality and formality in learning: A report for the learning and skills research centre. London: Learning and Skills Research Centre. Ganley, D., & Lampe, C. (2009). The ties that bind: Social network principles in online communities. Decision Support Systems, 47, 266–274. Green, D.O., Creswell, J.W., Shope, R.J., & Plano Clark, V.L. (2007). Grounded theory and racial/ethnic diversity. In A. Bryant& K. Charmaz (Eds. ), The Sage handbook of grounded theory (pp. 105-117). Thousand Oaks, CA: Sage. Guba, E.G., & Lincoln, Y.S. (1994). Competing paradigms in qualitative research. In K. Denzin & Y.S. Lincoln (Eds. ), Handbook of qualitative research (pp. 105-117). Hofstede, G. (2001). Culture’s consequences (2nd ed). Thousand Oaks, CA: Sage. Kelle, U. (2007). The development of categories: Different approaches in grounded theory. In A. Bryant& K. Charmaz (Eds.) The SAGE handbook of grounded theory (pp. 191-213). London: Sage. Myers, S., Zhu, C., & Leskovec, J. (2012, August). Information diffusion and external influence in networks. ACM SIGKDD International Conference on Knowledge Discovery and Data Mining (KDD), China. Silseth, K. (2012). The multivoicedness of gameplay: Exploring the unfolding of a student’s learning trajectory in a gaming context at school. ComputerSupported Collaborative Learning, 7, 63-84. Smith, B.H. (1988). Contingencies of value. Cambridge, MA: Harvard University Press. Strauss, A., & Corbin J. (1998). Basics of qualitative research: Grounded theory procedures and techniques. Thousand Oaks, CA: Sage. Veletsianos, G., & Navarrete, C.C. (2012). Online social networks as formal learning environments: Learner experiences and activities. The International Review of Research in Open and Distance Learning, 13(1), 144-166.